England’s Georgia Hall can relate to the pressure that Canadian golfers may be feeling at the CP Women’s Open. 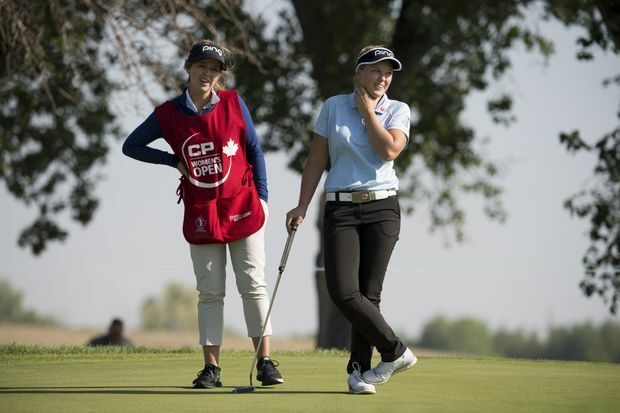 Other Canadians include LPGA Tour regulars Alena Sharp of Hamilton, Maude-Aimée LeBlanc of Sherbrooke, Anne-Catherine Tanguay of Quebec City and Brittany Marchand of Orangeville, Ont. National amateur squad members Grace St-Germain of Ottawa and Victoria’s Naomi Ko are also in the field with development squad player Ceéeste Dao of Notre-Dame-de-l’Île-Perrot, Que. “I think it’s that perspective. It’s got to be where, ‘These people are rooting for me. I can use that energy.’ "
Players who are long off the tee – such as Henderson – could give themselves opportunities as the course often rewards aggressive play. Play continues through Sunday at the US$2.25-million event. The champion will earn US$337,500.